In a letter to LAG Chairman, John Swift, The Secretary of State has confirmed that the Food Standards Agency will not be changing its advice on the consumption of game shot with lead ammunition and notes that “the report does not provide evidence of causation linking possible impacts of lead ammunition with sizes of bird populations”. In relation to both human health and wildlife the Secretary of State is clear: “the report did not show that the impacts of lead ammunition were significant enough to justify changing current policy; we therefore do not accept your recommendation to ban the use of lead ammunition”. The letter also confirms that the LAG process has now ended. “We are profoundly grateful that the Alliance’s position has been entirely vindicated by the Secretary of State and that she has rejected any further restrictions on the use of lead ammunition, let alone the total ban that John Swift proposed in his report. 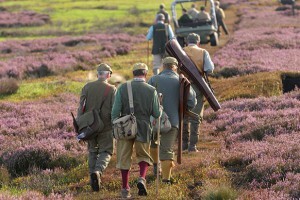 “A ban on the use of lead ammunition would have a significant impact on the huge contribution shooting makes to conservation, to local communities and to the rural economy.